Each Mistic E Cig cartridge contains premium e juice with the rich, familiar flavor of tobacco. The combination of 2.4% nicotine and 100% PG means that the e juice delivers lots of rich, satisfying flavor with a strong throat hit. The cartridges screw directly on to a rechargeable Mistic e cig battery, so there’s no need for changing coils or refilling with messy e juices. 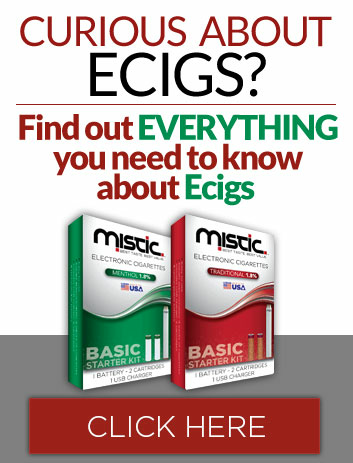 For more information on using Mistic E Cigs, try our FAQ page. These cartridges are made for use with Mistic Electronic Cigarettes only. To use them, you’ll need a rechargeable Mistic e-cig battery. Traditional 2.4% cartridges are also available in 10 Packs and 12 Pack bundles. I have been using this product for over 5 years and enjoy the taste. Sometimes one or two out of the 10 pack don’t last as long as the others, but they are still my favorite. The only issue is no being available quite often and the retail stores in my market still have the old product with the clear protectors and 3 of 5 filters do not work at all..